Our clients frequently ask us to help them identify speaking opportunities so they can to get in front of target audiences to share their knowledge and better position themselves as thought leaders. Securing speaking engagements establishes credibility among clients — existing and potential — and generates content that can be used on the firm’s website and in other marketing materials. We work with clients to identify their target audiences — whether trade or industry groups, other attorneys, or someone else entirely — and help make sure that the topic is one that will resonate with the audience. A speaking engagement creates a number of opportunities for media relations and improves the firm’s return on its public relations investment. Here are five tips for leveraging your next speech. Promote the event. Share the news of the speaking engagement on the firm’s and speaker’s social media channels. It may also be worth a press release on the firm’s website. After the event, upload photos and/or the slide deck to the firm’s website, social media accounts, document-sharing sites and other relevant digital channels. These are great ways to engage with the firm’s broader audience to reach current and potential clients, as well as reporters, and improve SEO. Find out whether members of media will attend the event. It takes a quick call to the organizer to learn if reporters will be there. If so, take a moment to reach out to them, let them know that a firm attorney is speaking and invite them to attend the session. Try to coordinate an in-person interview before or after the session. Tell reporters the speaker’s practice area above and beyond the topic of the speech so that their conversation can be a bit broader. Be sure to clarify, though, whether the conversation is for a specific story or on background for the reporter to develop the speaker as a source for a future article. Mine your speech for topics that can be used to pitch the media. Speakers spend hours ensuring that their presentations have updated information and statistics. A good media relations professional can usually find two or three independent media topics to share with reporters. Since the source is already well-versed in the topic through the preparation for the presentation, it makes interview preparation very easy. Write an article about the topic(s) — one of the best ways to repurpose content created for a speaking engagement. Most publications have individual editorial guidelines, including varying word count limits, so it always makes sense to draft an abstract for publication approval first before doing the work to draft the article. If the topic is particularly complex or requires a lengthy article to adequately cover it, many publications will accept a series of articles. Use social media and the attorney’s personal contacts to see if any existing or potential clients are attending the event — that’s good business development practice. Reaching out in person to invite them to attend, and then coordinating coffee or a meal before or after the presentation, creates a great opportunity to engage outside the office walls. 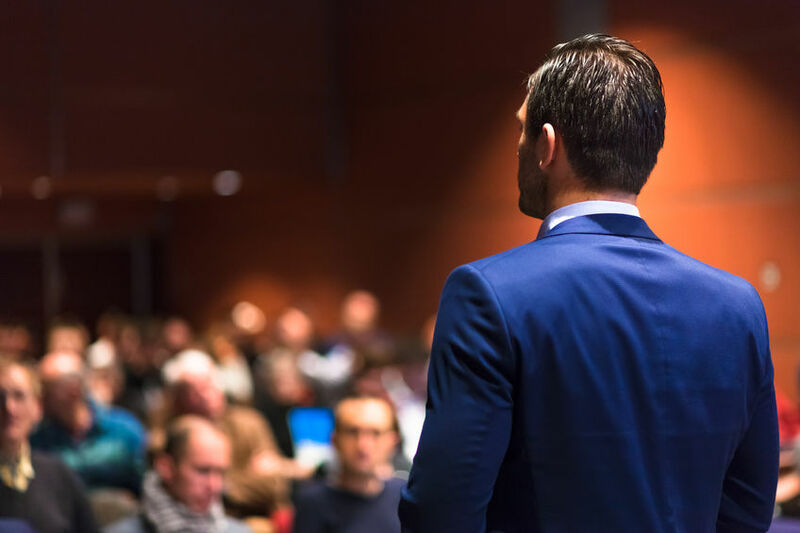 Following these marketing tips for speaking events will help you further showcase the great work that is happening in your firm. If you have questions about how to leverage your next speaking engagement, contact me at sholtzman@jaffepr.com. VP, Public Relations - A dedicated public relations professional who pairs her clients’ priorities and interests with media that target their key audiences.